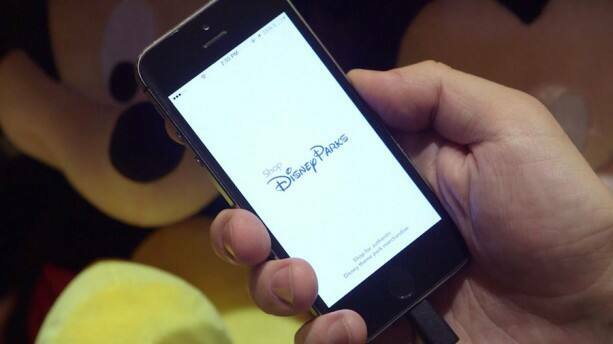 A few weeks ago, we introduced the new Shop Disney Parks mobile app. This free app offers access to thousands of Walt Disney World authentic products, including some of the newest arrivals like retail MagicBands. I recently visited Disney’s Hollywood Studios to show you just how easy and convenient it is to use the app when shopping at Walt Disney World Resort. Look for future enhancements and updates coming to the Shop Disney Parks app in the coming months. The app is currently available for iPhone and smartphones for Android. You can also use the iPhone app on an iPad (a dedicated iPad app is not currently available). Since the last app update, I can’t use the app. Always get a message “connection failed” “Sorry, we’re having trouble connecting to our network. Please try again later.” Comments in app store, show other people having this difficulty. Doesn’t seem to be any support website online. Deleting and reinstalling app does not resolve issue. I am so excited about this!!!!! This makes me so happy!!!! Could you please give me some information on the new Partners statue ornament I’ve seen? It’s not on the app yet and Merch Guest Services wasn’t able to find it either. Wanting to order the Tsum Tsum mystery pins but says “in-store purchase only,” is there a plan to have those for purchase on the app? Thank! @Shena – I know some items may be in-store purchase only when using the Shop Disney Parks app. You may want to try our Merchandise Guest Services team who might be able to assist. You can contact them at 877-560-6477 or by email at Merchandise.Guest.Services@DisneyParks.com. Please reference this item number: 400009162660.
i will be travelling from Argentina next December and I cannot download the app here because is only available for USA. It will be really helpfull this app to perform the shopping for me because i´m travleling with 2 little kids. Do you know if it is going to be available to download in Argentina or how I can do to download it for using it? @Leandro – There are no immediate plans to offer the app as a download in Argentina. I hope you have a safe trip. Watto’s Grotto at Disney’s Hollywood Studios seems to be missing from the app. Where’s the Cogsworth clock? The one that went with the Lumiere light. @Hunter – I checked our inventory system and it doesn’t appear that Cogsworth has arrived yet. I would also love it if the “app” were available as a desktop website as well–and not just an “app” (or the disneystore site). @Jonathan – There are no immediate plans for such an option. I’ve used the app several times to order HTF items and items for upcoming trips (like having graphic MagicBands purchased and formatted before we go, rather than having to take the time to do it at the park). It’s great! The only disappointment was ordering one rare item and then having the order cancelled three days later because they were out of stock. I was sad! Hopefully they’ll keep working on the inventory accuracy issue. Now, Steven, just between us…will those of us who didn’t win the blog sweepstakes have the opportunity to purchase Orange Bird MagicBands anytime in the future? Pleeeeeeeeeeeeease? This is my latest addiction. Thank you so much. I used this app while on vacation recently and have used it since to get item numbers and browse. It is generally very helpful and I welcome it. However, the inventory is not always accurate. I hope this will be worked on. We went to all four stores that it showed having the Stormtrooper Donald plush in stock at, and not a single one had it. Cast members at all locations either had never even seen it or hadn’t seen it in a long time. This happened to us with a few other items as well, namely ornaments and prints. Nothing is perfect, but it was frustrating to go out of our way to 3 of the 4 stores plus the other times, only to come up empty handed anyway. @Nancy – I appreciate the feedback and I’ve shared it with the team. I know they are addressing those concerns. There is an entire group dedicated to making the app experience even better. So it’s helpful to have your feedback. I’m sorry to hear you had some challenges with it. @June – Thank you for the feedback. My apologies for any challenges you may have experienced. I know there are dedicated teams working on enchancements and improvements to the app. Firstly I’d like to say I’m glad technology is helping out so much in enhancing our Disney experience. I’m from the UK and hope eventually there will be an added international shipping part to the app. Walt Disney World sell some beautiful items throughout the parks and I always go home wishing I’d of brought something that I ‘ummed and arrrrred’ about. The fee’s the Disney Store charge to post to the UK are quite pricy however the items are so unique its worth it. My main question was about whether you will be able to use this app to help get items dropped to non-Disney hotels that are in fact on the Disney Resort I.e the Wyndham on hotel plza blvd? Also I’m not too sure how far your reach goes in regards as reaching out to the app developers but I was curious if ride restrictions such as height will be put on the Disney Experience App?? Many thanks and superb work carried out by the teams throughout Disney! Can’t wait to visit ! 214 days and counting! @Kristian – That’s a great question. From my understanding, the app would help with delivery to the Disney hotels that currently offer Resort delivery in the shops. Hey there! Personally, I love this app! It adds another dimension to the regular online store that I frequent. It allows me more access to items that may not be available on the regular shopping site or out of stock online. We get to Disney once a year so anytime I can find more Disney items it’s a win! Steve thank you for taking the time to answer my question. However I forgot to add something that you should take into account. The Disney Store website can ship items to Canada and I’m sure you know that on there they sell items from Walt Disney World in the Disney Parks Authentic section. I can even download the Disney Store app if I wanted it. That’s why I can’t understand the Shop Disney Parks app not being released to Canadians, since those options have been available for a long time for international guests as myself. 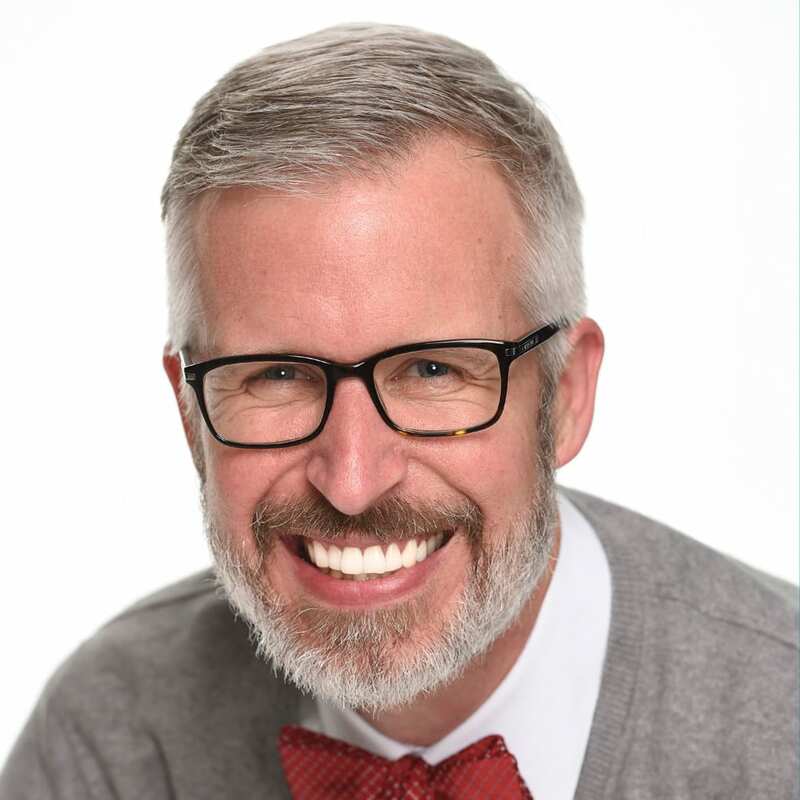 @Jason – Thank you for the feedback. I’ll be sure to share it with the teams working on the Shop Disney Parks app. Disneyland, (& Food/Wine in my case) in particular. @Jonathan – You win! 🙂 Thanks for the laugh. I don’t know of any plans for “Coming Soon” items. I’ll keep those previews for the Disney Parks Blog. Much of the reason has to do with the way the behind-the-scenes merchanding system interfaces with the app. It only shows items that currently have inventory on-hand. I’m confused, it is called the Disney Parks Shopping app, but yet it only seems to work for Disney World. Aren’t Disneyland and Disney California Adventure also Disney Parks? Given this, I would say the app title is very misleading, it should be called Disney World Shopping, not Disney Parks Sopping. @Christopher – Future updates will include Disneyland Resort. 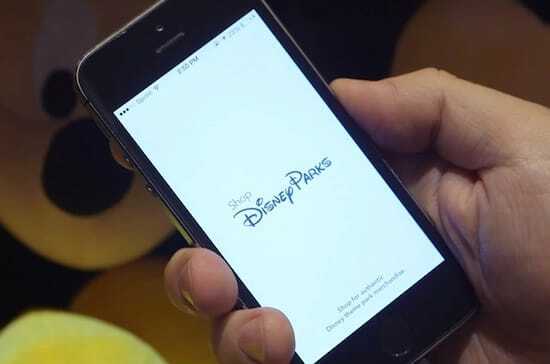 Rather than create two separate apps, it made sense to call it Shop Disney Parks. Do you have an update of when the app will be released to those living in Canada like myself? I would very much like to download it and so far I can not. @Jason – I hope all is well in Canada; I really need another trip north! I’ve not heard any immediate plans for this option. I’m sorry I don’t have better news. I used this app from home and it was so easy! The package came faster than I expected. I’m sure I’ll be using it on my next trip. Great way to find items in the Parks. Only down side, cannot use my Disney Visa Discount. Will this be something that will be added down the road? @Carol – Thank you for shopping with us! That’s great to hear. I believe there are future updates planned that may include that option. I don’t have, however, a timeframe as to when that will happen. what about stuff you want to buy from the parks once you get home you couldnt buy at the time but are not on the website ? @Christina – The Shop Disney Parks app gives you access to thousands of products offered at Walt Disney World Resort. You can search for items you may have missed and have them shipped directly to your home. The Disney Parks online store website only has a few hundred Disney Parks items. You’ll have even more options with the Shop Disney Parks app. So Steven, how do I use this app to see when the Orange Bird plush (that you teased us with last year) will be available? @Kim – The Orange Bird 7-inch plush is currently available in multiple locations. I did a key word search for “Orange Bird” and found him in the Shop Disney Parks App. Will this service be coming to Disneyland? It looks wonderful! 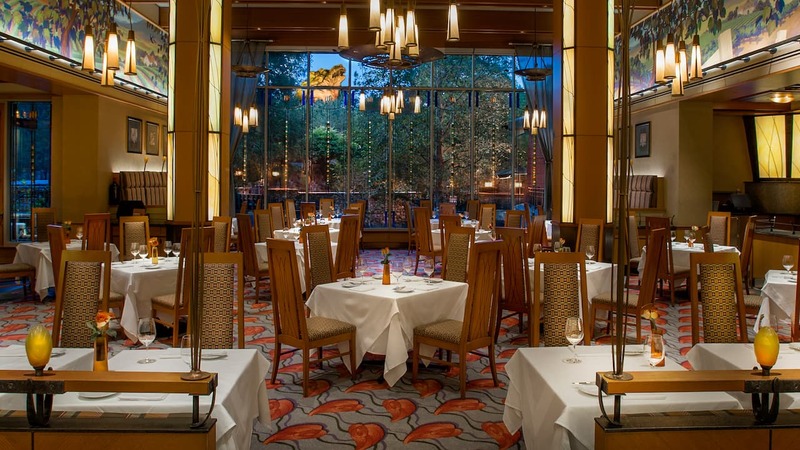 @Belinda – Future updates may include Disneyland Resort. At this time, I don’t have confirmation as to when that will happen. I look forward to the Gate Pickup and Resort Delivery options! Such a great way to avoid carrying merchandise around all day and to skip waiting to fill out the forms at the register. Lovely! I look forward to trying it on our next trip!